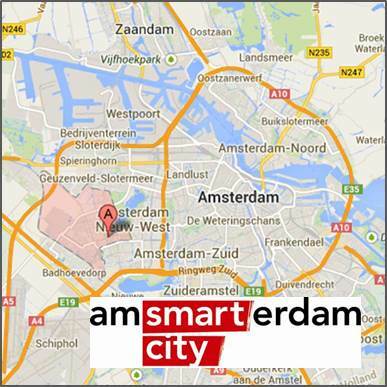 In 2013, 3 pilots were started in Amsterdam (Amsterdam Smart City project), Leiden and with the FlexOVL system to test whether FlexOVL provides the desired reliability, performance and availability, and meets the needs of the municipalities. Tariff switching was also included. All pilots showed that FlexOVL was a suitable alternative to control public lighting and tariff switching. During 2014 there have been several developments and improvements on the hardware (production ready switching devices) and the software (open smart grid platform) for up scaling reasons. Besides that, Alliander developed standard Web applications in order to enable municipalities to start quickly in using FlexOVL. In total, 200 devices (public light controllers) will be installed in substations in order to have more feedback in using the FlexOVL service and web application. Besides that, Liander wants to put in use their CDMA450 mobile communication network and to have the devices operate via this network. In 2017, Liander has started with the large scale roll-out of FlexOVL. Via 25.000 substations, 800.000 streetlights will be monitored and controlled with our Public Lighting Service. Ripple control technique will be phased out in the following years. This technique has become obsolete, results in more and more disruptions and is becoming more expensive in maintenance. Besides, it doesn’t meets todays needs and requirements. More information or a demo? Please contact us.